Steppingstone offers comprehensive support services to Scholars who complete their academic preparation with The Steppingstone Academy or the College Success Academy. These services help each student transition and thrive academically and socially in their new schools. 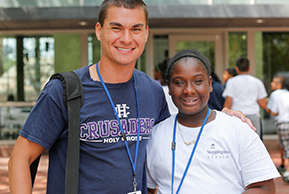 Individual Advisors work with Scholars, families, and placement schools. 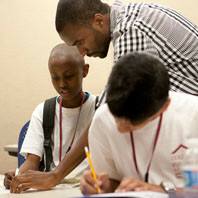 Scholars benefit from academic mentoring, extra-curricular activities, social-emotional counseling, and college guidance. 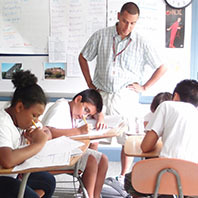 As early as ninth grade, Scholars begin attending workshops on topics such as course selection, extracurricular choices, teacher recommendations, essay-writing, standardized tests, and summer programs. 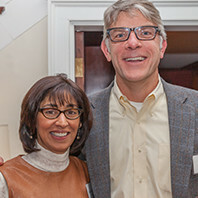 Steppingstone partners with uAspire to offer financial aid training, planning, and scholarships to Boston students. 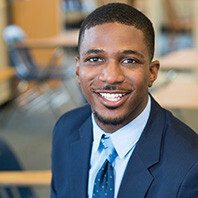 Through Steppingstone, Scholars can meet with college admission representatives, participate in college tours, and take discounted SAT preparation courses. The summer after 12th grade, Scholars begin to learn about financial literacy and taking advantage of resources when they are in college. Staff in Steppingstone’s College Services department assist undergraduates in applying for financial aid, selecting courses, finding summer internships or transferring to new schools if necessary. 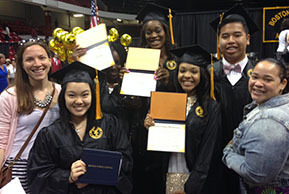 This long-term commitment helps Scholars to never lose sight of their college goals.